NOW.HERE.THIS. — which last year received a Developmental Lab Production at The Vineyard – will be given a fully staged, world-premiere production with previews beginning March 7 prior to an official press opening of March 28 at the Vineyard Theatre (108 East 15th Street), it has been announced by Artistic Director Douglas Aibel, and Co-Artistic Director Sarah Stern. NOW.HERE.THIS. is the newest work from the creators and cast of the legendary musical [title of show], which had its Off-Broadway debut at The Vineyard in 2006 prior to its Broadway engagement in 2008. NOW.HERE.THIS. is written by Hunter Bell and Susan Blackwell, with music and lyrics by Jeff Bowen, and is based on a collaboration by Hunter Bell, Michael Berresse, Susan Blackwell, Heidi Blickenstaff, Jeff Bowen and Larry Pressgrove. Musical direction is by Larry Pressgrove. NOW.HERE.THIS. is directed by Michael Berresse. NOW. HERE. THIS. 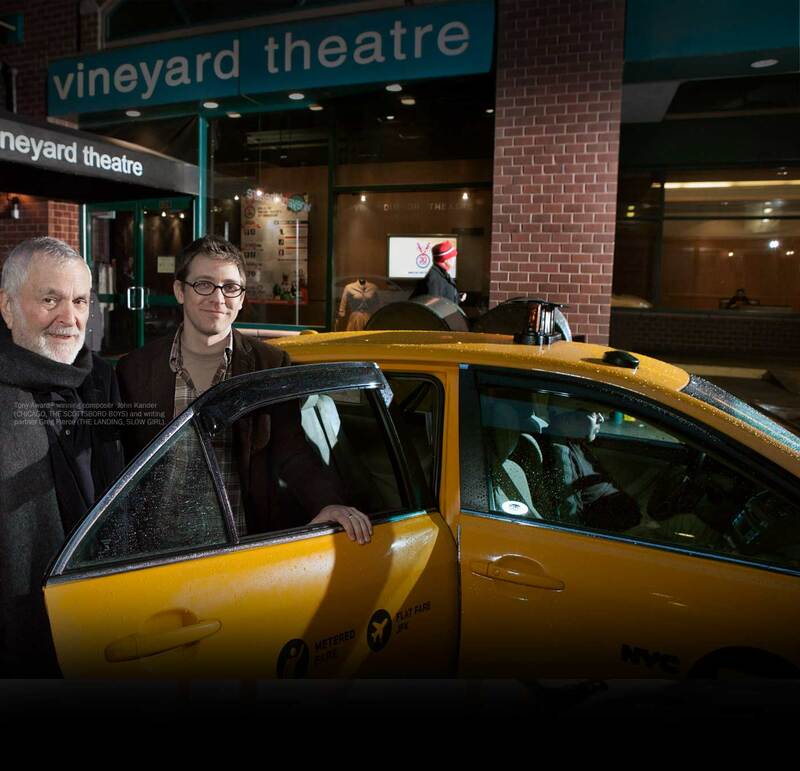 marks the return to The Vineyard of the ultra-talented team behind the Obie Award winning musical [title of show], which premiered at The Vineyard in 2006 and went on to an acclaimed, Tony-nominated Broadway run in 2008. The six original collaborators are back and all delving intolife’s big questions with inimitable humor and humanity. The show explores birds, bees, reptiles, early man, ancient civilizations, and outer space. Also, loneliness, friendship, hoarding, hiding, laughing, living and dying. And middle school. And dinosaurs. The design team for NOW.HERE.THIS is Neil Patel (scenic design), Gregory Gale (costume design), Jeff Croiter (lighting design) and ACME Sound Partners (sound design). Vineyard Member booking for the show is underway. To see NOW.HERE.THIS. as well as the company’s current production of OUTSIDE PEOPLE and its upcoming Lab production of THE LANDING with David Hyde Pierce go to www.vineyardtheatre.org for membership options.